Nightmare is already in the Darkness pack with her pup Lucid....but if you want we can say they got seperated or something and no one knows that Nightmare has another pup around in a different pack. 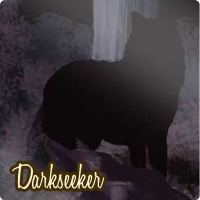 He want's to befriend the Dark pack, but I'm chill with whoever's available. Good idea, you two choose. Together.